The government is trying to stop any marketing to teenagers. The federal agency that regulates tobacco use said Tuesday it has seized more than a thousand documents from an e-cigarette maker as part of an enforcement campaign to stop teenagers from getting access to e-cigarettes. 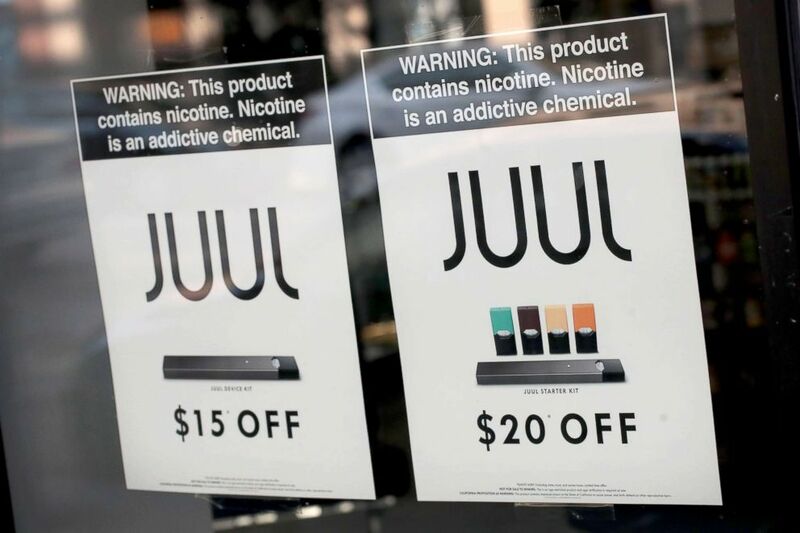 The FDA said that last Friday it raided the San Francisco headquarters of Juul Labs, which sells flavored liquid nicotine products that have become popular among middle and high school students. The FDA said it conducted an "unannounced on-site inspection" of Juul Labs headquarters, looking for documents related to the company's marketing practices that they had requested in April. 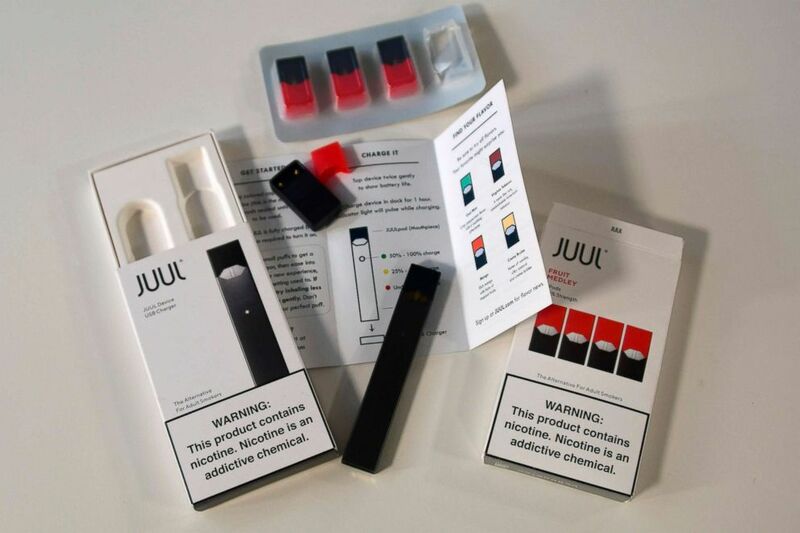 The FDA has been investigating whether Juul violated the law by targeting minors through its advertising and flavored products. (Eva Hambach/AFP/Getty Images) An illustration shows the contents of an electronic Juul cigarette box in Washington, DC, Oct. 2, 2018. FDA Commissioner Scott Gottlieb has said the popularity of e-cigarettes among minors is an "epidemic" and companies have not done enough to stop it despite multiple warnings from the agency. "Regardless of what steps (the companies have) been taking the fact remains that the use is continuing to rise. It's reached proportions that we are calling an epidemic among teenagers. And so whatever steps they've taken to date hasn't been sufficient to try to stem that growth," Gottlieb told ABC News in an interview last month. He tweeted about the FDA action against Juul Tuesday, citing new Centers for Disease Control data on e-cigarette sales. The FDA has previously issued warnings to retailers about selling e-cigarette products to minors. Gottlieb said it is prepared to go as far as banning flavored nicotine products like Juul to keep them away from teenagers, even if that means they aren't available for adults who use the products as an alternative to traditional cigarettes. Juul said it is committed to working with the FDA to prevent minors from using its products and that company officials met with the FDA last week to discuss ways to better enforce customer age restrictions. "We want to be part of the solution in preventing underage use, and we believe it will take industry and regulators working together to restrict youth access," Juul Labs CEO Kevin Burns said in a statement Tuesday. Burns also said Juul is set to release a plan to reduce youth access to its products in the coming weeks. ABC News Jeffrey Cook contributed to this report.